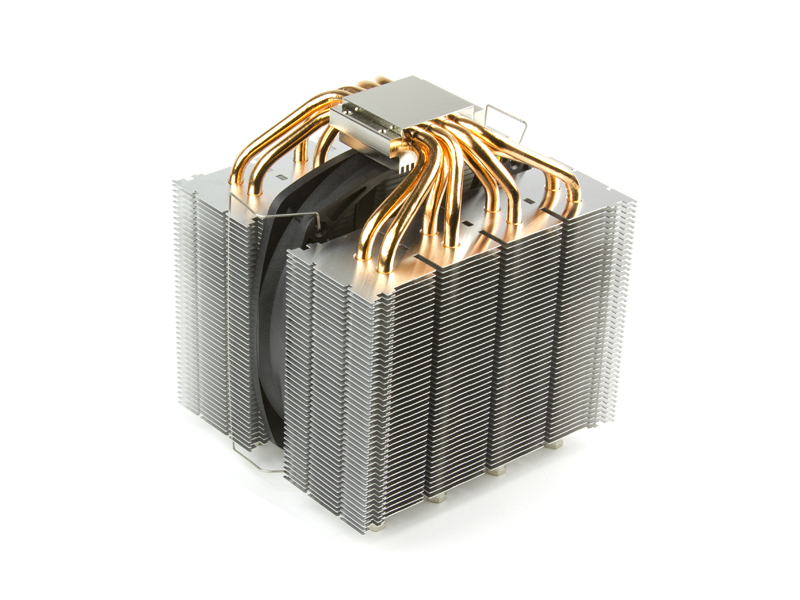 The Mine 2 high-end CPU cooler is equipped with eight heat pipes, which are arranged in a double-tower design. Intake airflows as well as exhale airflows are optimized to provide the maximum performance at overclocking the CPU. New back-plate F.M.S.B.3 is attached for a stable and save mounting on the motherboard. The Slip Stream 140 PWM & V.R. fan allows the users to choose the PWM function or V.R. (manual fan controller) mode to fulfill from the silent peration to high performance operation. Up to 3 fans can be mounted onto this heatsink. By placing the fan in between the 2 heatsink tower, intake airflows as well as exhale airflows are optimized to provide the maximum performance. Furthermore, the lower part of the installed fan is designed to cool the devices around the CPU socket, such as VRM. By purchasing the separately sold fan clips, up to 3 fans can be mounted onto this heatsink. Improved Scythe original back-plate names F.M.S.B.3 (Flip Mount Super Back-plate 3), the compatibility has been maximized as well as achieving the solid mounting of the cooler onto the motherboard. Users can select to choose the PWM function or V.R. (manual fan controller) mode to fulfill from the silent peration to high performance operation. By turning the build-in controller knob towards low or high position, users can adjust the PWM speed operation range or the manual fan controller speed range as mentioned on the specifications.